While 80 percent of children and young adults diagnosed with cancer will survive, more than 85 percent of childhood cancer survivors will experience a significant chronic health condition after treatment. Health problems that occur after treatment are called late effects and may occur throughout the life of the survivor. These late effects may include physical, psychological and social issues. Identifying and treating these problems early helps survivors lead a full life – performing to the best of their ability in school, growing and developing normally, feeling strong and resilient, and even having family of their own one day. Many cancer survivors have to deal with one or more health problems, also known as late effects, due to their cancer treatment. Many blood and marrow transplant survivors have to deal with one or more health problems, also known as late effects, due to their cancer treatment. Late effects happen due to chemotherapy or radiation that was part of the transplant process. They also happen because of the body’s reaction to the transplant. Based on national guidelines, a Survivor Healthcare Plan (SHP) is a document our team creates for each survivor. This “roadmap to survivorship” is personalized based on each survivor's treatment and needs. The SHP is also a helpful resource for your child’s other doctors, such as a primary care doctor, dentist, psychologist, school teacher or social worker. These doctors can use the SHP to quickly learn about a survivor’s cancer history and how to best care for him in the future. Medical professionals can access health records online to understand their patient's diagnosis and treatment. Armed with this knowledge, they are better prepared to make future health care decisions. Whether a patient resides in Georgia or has moved out of state, SurvivorLink eases communication and information sharing. We are home to one of the leading childhood cancer survivor programs in the country. Founded in 2001, the Aflac Cancer Center has offered its multidisciplinary Cancer Survivorship Program to address the unique needs of childhood cancer survivors who are at least two years off therapy. We have a robust Fertility Preservation Program to provide counseling and guide interventions to preserve reproductive material for future use. Within the last two years, 140 fertility consults were provided to newly diagnosed adolescent and young adult patients. Our Survivorship Clinic has provided survivor care to 1,673 pediatric cancer survivors over the past five years. Our team developed Cancer SurvivorLink—a revolutionary Web-based tool for survivors and their care teams to learn about cancer survivorship, store important health documents and share those documents with healthcare providers. A funded initiative led by Karen Effinger, MD, MS, is underway for the adaptation of a web-based behavioral intervention called Achieving Wellness After Kancer in Early Life (AWAKE) for use in adolescent cancer survivors and their guardians to improve a survivors’ hope, health-promoting behaviors and quality of life. 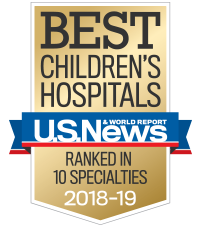 Our staff is actively involved in the Children’s Oncology Group (COG) Survivorship working group and contributed to the Long-term Follow-up Guidelines for Survivors of Childhood, Adolescent and Young Adult Cancers. We are a member of a five-center consortium for intervention research on supportive care, health screening, health status, health behaviors and chemo prevention. We are a participant in the national Childhood Cancer Survivor Study (CCSS) that examines late effects of cancer treatment. We provide services to help with school, job or insurance problems, as well as support for physical or emotional changes. Through discovery, innovation and collaboration, researchers at the Aflac Cancer Center are searching for ways to improve the outcomes and quality of life for survivors of childhood cancer.